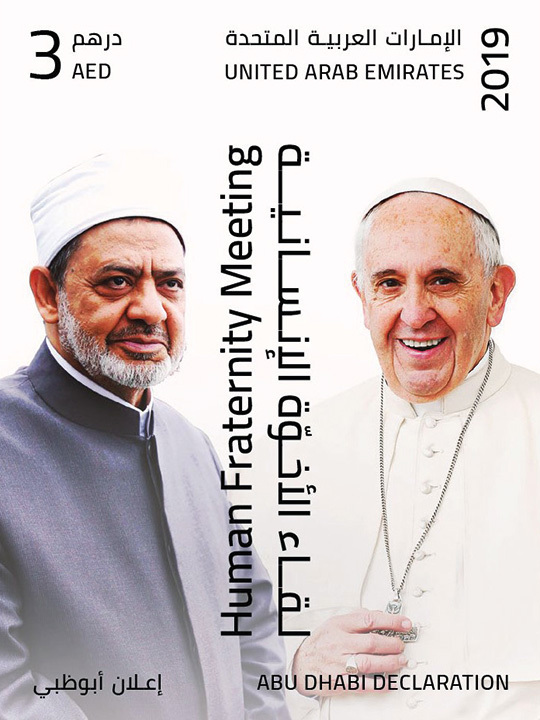 Abu Dhabi: Emirates Post has issued a commemorative stamp to mark the Global Conference on Human Fraternity held in the capital on Sunday. The stamp, decorated with the pictures of Pope Francis and Dr Ahmad Al Tayeb, Grand Imam of Al Azhar, reflects the values of the UAE’s founding father, Shaikh Zayed Bin Sultan Al Nahyan. It demonstrates the supreme humanitarian message of the UAE and its keenness to promote interfaith dialogue throughout the world.